Next Step Network Staff Update | Next Step Network, Inc.
LOUISVILLE, KY – January 14, 2019 – On January 7, Chona Camomot joined Next Step Network as an executive assistant, bringing a wealth of experience in both nonprofit and for-profit administration and development. This social enterprise works to put sustainable homeownership within reach of everyone, while transforming the manufactured housing industry through consumer education, affordability and energy-efficiency. As Next Step’s executive assistant, Chona will act as the primary point of contact for all internal and external stakeholders. She has ten years of experience in both the nonprofit and for-profit sectors serving in administrative, communications, administrative and development roles. 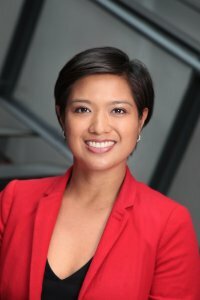 Before joining Next Step, Chona started her career as a multimedia producer for The Boston Globe. She worked in development for the American Printing House for the Blind before moving into Corporate Social Responsibility for Yum! Brands and the Yum! Brands Foundation where she managed the company’s domestic and international philanthropic efforts and employee engagement programs. Chona volunteers her time as a board member for Pillar (formerly known as Apple Patch), NetImpact Louisville and [give]502 – Louisville’s first young professional’s giving circle. Chona holds a B.A. in Journalism from Indiana University and an M.A. in Broadcast Journalism from Emerson College.